I have always loved different and unusual watches. I would buy watches ranging from marcasite antique vintage style watches to rubber strap watches! 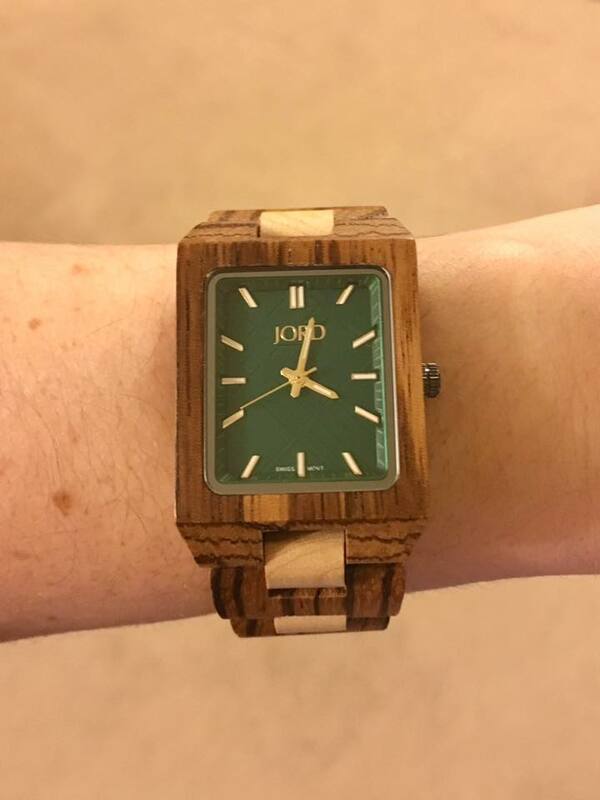 So when Jord contacted me offering me the chance to review one of their wooden watches I couldn’t resist! 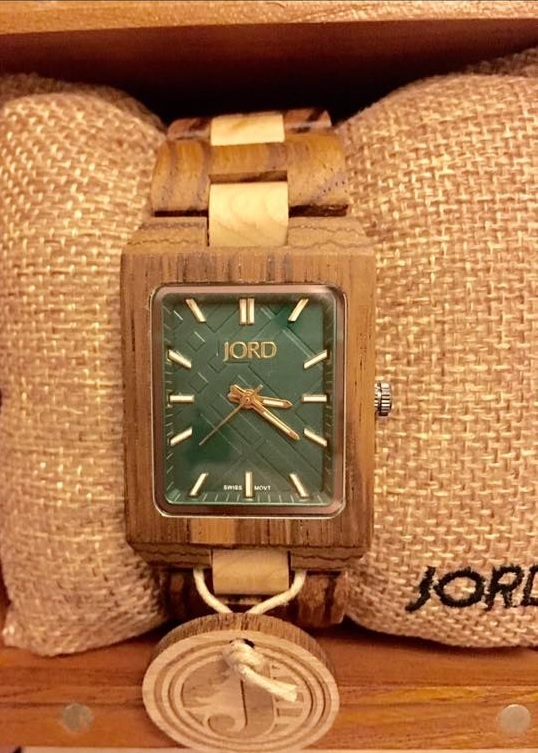 Jord have a beautiful range of men’s watches and women’s watches, be sure check them out. 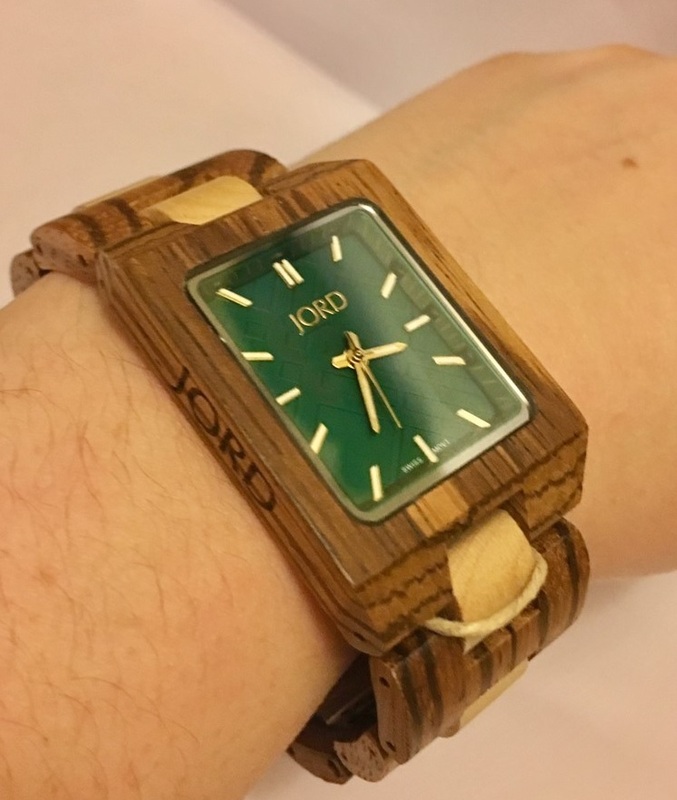 I chose the Reece Series Watch in Zebrawood and Emerald retailing at £137, it really is a unique watch. Straight away I knew this watch was the one I wanted. I absolutely love the colour of the face, its simply gorgeous and is complemented beautifully by the Zebrawood, with both dark and light tones. This really is a watch that stands out from the crowd. 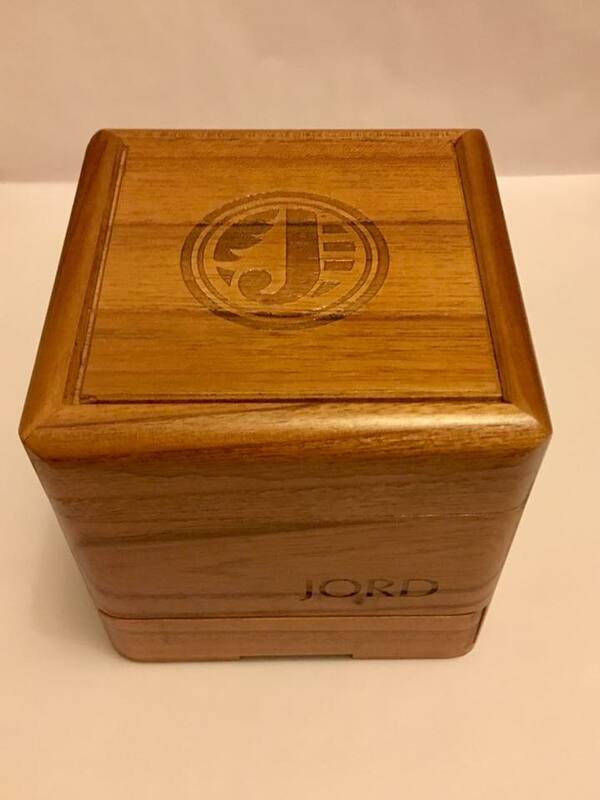 It is beautifully presented in a posh black cardboard box and inside in a wooden box of its own you will, lift off the magnetic lid and you will find your watch wrapped around a little hessian pillow. The watch also comes with wood oil and a cleaning/polishing cloth. I really do love the attention to detail. On the front of the box you will find a little drawer with a humidity packet which allows ventilation through slots in the box to your watch. 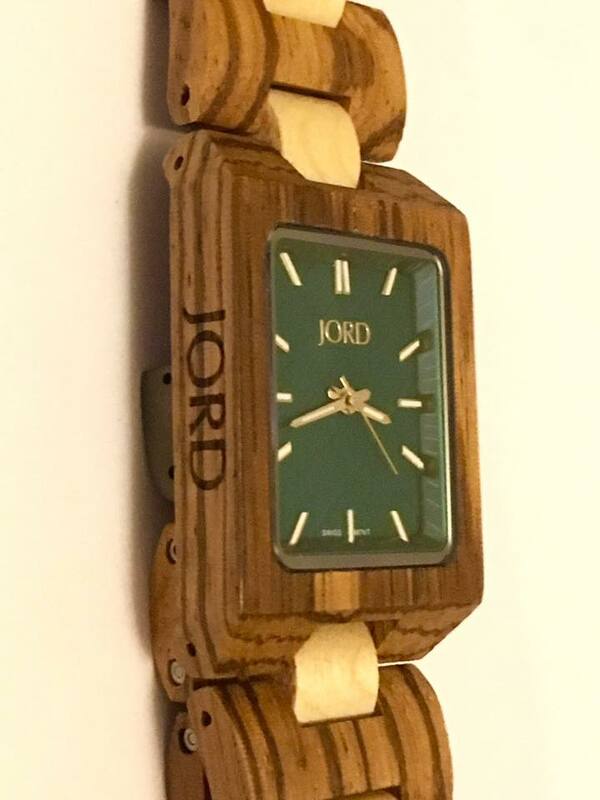 As well as the Jord wording on the side of the watch. This watch features sapphire crystal glass, the buckle has deployment buttons to open it, and it has swiss movement. Overall this really is an outstandingly crafted time piece and one in which I will most definitely be showing off to my friends and family. 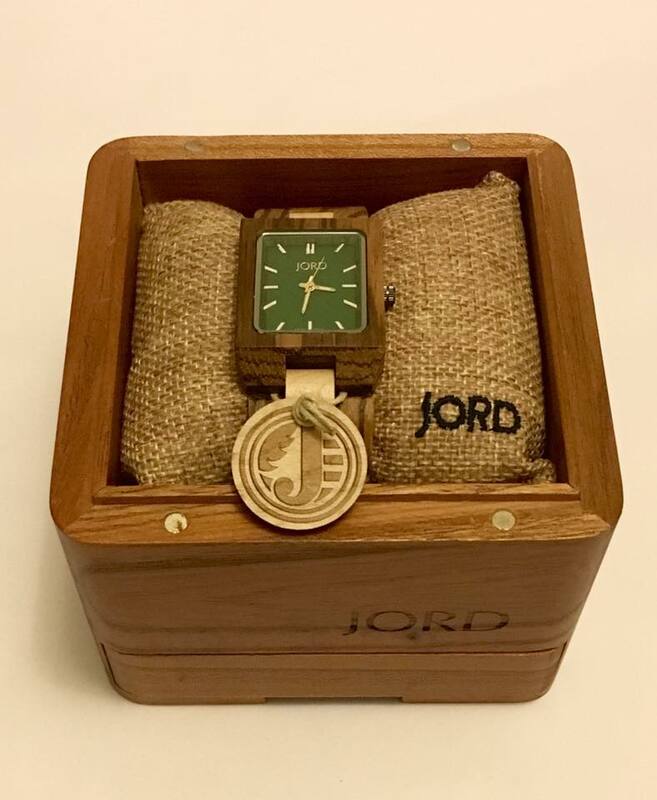 A Jord watch would be the perfect gift for any birthday or anniversary as it really is truly special! Both codes will expire on 4/30/17. The winner will be randomly selected. For the purpose of this review I was sent the above watch. All opinions and thoughts are my own. 4 Tips That Will Help Prevent Your Kids From Vaping.